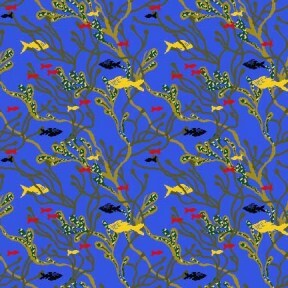 A soft sea of blue with a variety of fish weaving through strands of sea weed make up this delightful carpet style ...perfect for your pool side gazebo, dressing room...or anywhere you want an ocean theme. This carpet selection compliments the perfect seashore motif. Call Toll Free 1-866-732-2966 Eastern Time $2.68 sq. ft.